Nigel Roberts joins the team from Deloitte, where he was a director for seven years. Before that, Mr Roberts worked as tax partner at EY and has previously headed up Lloyd’s Group VAT and insurance premium tax teams. 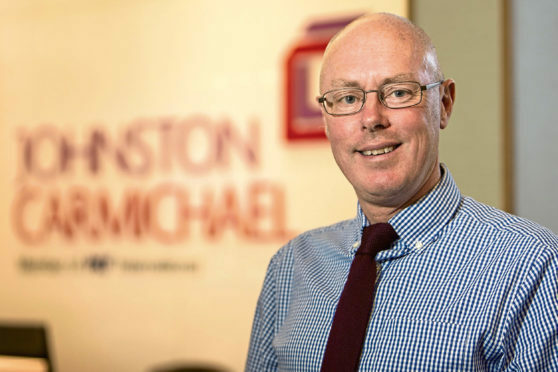 Mr Roberts has more than 30 years’ experience, with an extensive background in financial services, property, international VAT, tax compliance and risk – and has dealt extensively with HMRC. He said: “Tax is one of Johnston Carmichael’s strategic growth areas, I’m excited to become part of Scotland’s leading tax team and look forward to developing a market- leading VAT practice. Johnston Carmichael’s head of tax, Susie Walker added: “We are proud to have attracted someone of Nigel’s reputation and calibre to Johnston Carmichael, where we are experiencing considerable growth across the tax team.